1. 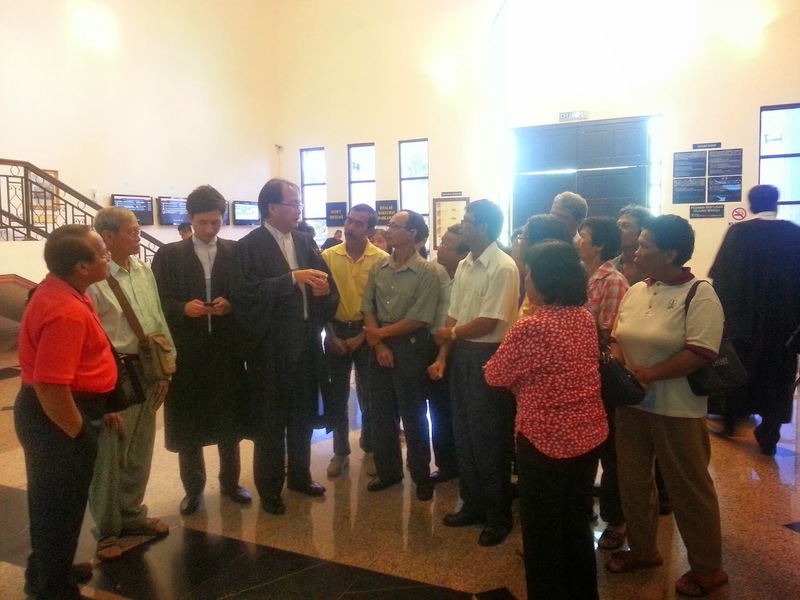 The Court of Appeal sitting at Kuching today once again confirmed in their ruling that “pemakai menoa” & “pulau galau” are Native Customary Land (NCL) under the Iban adat or custom in Sarawak. This was the decision of three panel judges led by Datuk Ramly Hj Ali, sitting together with Dato’ Abdul Aziz Bin Abdul Rahim, and Dato’ Hj Mohd Zawawi Bin Salleh in two cases which were heard together on appeal yesterday. 2. The two cases are High Court Suit No. 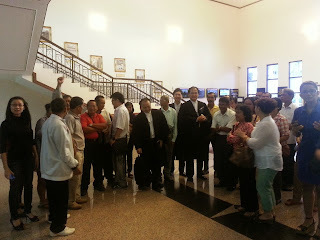 22-43-2000-I, Luking anak Uding & 2 Ors v. Superintendent of Land & Surveys, Kota Samarahan & 3 Ors (“Luking’s Case”) and High Court Suit No. 22-249-98-III(I), TR Nyutan ak Jami & 2 Ors v. Lembaga Pembangunan Dan Lindungan Tanah & 2 Ors (“Nyutan’s Case”). In both cases, three Defendants were the same i.e, Lembaga Pembangunan Dan Lindungan Tanah (LCDA), Nirwarna Muhibbah Sdn Bhd and The Government of the State of Sarawak. In view of the commonality of the parties in these two suits and because one of the Provisional Leases i.e Lot 2979 Melikin Land District overlapped with the NCL of both of the natives Plaintiffs in these two cases, the appeal were consolidated. 3. At the appeal stage three parties intervened to be heard; TH Pelita Sadong Sdn Bhd, (1st Intervener), TH Pelita Gedong Sdn Bhd (2nd Intervener) and RHB Islamic Bank Bhd., (3rd Intervener). The first two interveners intervened because they claimed to be the bona fide purchasers (now the registered proprietors) of all the Provisional Leases (PL) involved in the two cases i.e Lot 2979, Block 3 Melikin Land District, Lot. 2 Block 6 Melikin Land District and Lot 166 Block 5 Melikin Land District, and were never made parties to the suit, whereas the 3rd Intervener intervened because they claimed to be the Chargee to loan of RM66 Million taken by the 1st and 2nd Interveners with these lots given as collateral to the said Bank. 4. In Luking’s case the plaintiffs come from Kpg Merakai or Rumah Luang, Batang Krang, Gedong whereas in the Nyutan’s case the plaintiffs come from Kapg Lebor, Jalan Gedong, Serian. All the Plaintiffs are Iban by race and are natives of Sarawak. They claimed that part of their NCL which comprises of their “pemakai menoa”, “pulau galau” and “temuda” overlapped with the said PL issued to Lembaga Pembangunan Dan Lindungan Tanah (LCDA) and Nirwarna Muhibbah Sdn Bhd by the Superintendent of Land and Surveys, Kota Samarahan, the servant of the State Government of Sarawak. The High Court Judges who heard these cases; (Datuk Linton Albert in Luking’s Case and Datuk Clement Skinner in Nyutan’s case) ruled in the natives’ favour. 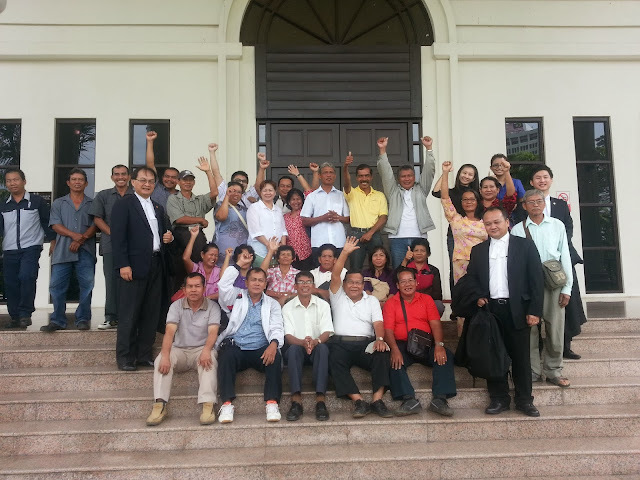 They agreed with the Plaintiffs that they had proven their claimed of NCR over their “pemakai menoa”, “pulau galau” and “temuda” which the Plaintiffs and their ancestors had occupied before 1.1.1958 and continued to do so to this day. The judges also ruled that part of their NCL were included in the said PLs and therefore should be excised out from the said PLs. The Registrar of the Land & Surveys, Kota Samarahan was also ordered to rectify the register pertaining to these PLs. Damages in both cases are to be assessed by the Registrar of the High Court. The appeal yesterday was against these judgments of the learned judges of the High Court. 5. In their judgment today the Court of Appeal dismissed all the appeals of the Appellants and the Interveners. After reading the submissions of the parties and after reading the judgments of the two High Court judges, their Lordships said that they have no reason to interfere with the finding and the ruling of the said High Court judges. They dismissed the appeal and affirmed the judgments in both cases. Another victory for the natives of Sarawak! 6. This judgment is very important and timely. This is because the State Government had all these while argued that NCR in Sarawak is only restricted to the felled area or the “temuda” NOT the “pemakai menoa”, or “pulau galau” area. This decision is the 3rd judgment coming from the Court of Appeal after the decision in the landmark case of Nor anak Nyawai on the same issue, the second being the case of TR Sandah & Ors v. The Director of Forests Sarawak & 2 Ors, decided a few months ago. With this judgment we are confident that the adat and law on NCL is now quite clear i.e., that it is not only restricted to the “temuda” area but it extends to the “pemakai menoa”, and “pulau galau” area. I really hope that the State Government and the Defendants in this case do not appeal. Just respectfully accept the judgments in humility. 7. The Plaintiffs/Respondents in Luking’s case was represented by Harrision Ngau while Baru Bian and Joshua P. Baru represented the Plaintiffs in Nyutan’s Case. The State Government of Sarawak was represented by Dk JC Fong together with him were En. Safari Ali & En. Azahar. The 1st & 2nd Interveners were represented by Arthur Lee while the 3rd Intervener was represented by Albert Tang. LCDA was represented by Shankar Ram & Daniel. Dated this 27th September 2013. Very well done Baru Bian. God will continue to guide & direct you in doing your good job helping the people who need help. God bless.